Margaret Roe, orphaned at the age of eight, lives her life in the same orphanage where her father was forced to leave her when he went off to fight in the Civil War. Now, fifteen years later, she takes care of the present set of children who are in the orphanage and has only a visit to the local confectionery shop as the highlight of her week. Margaret makes an uncharacteristically bold move and signs on as a mail order bride and quickly finds herself on a train to Iowa City, Iowa where she becomes Mrs. Russell Chadwick. Margaret's marriage is by no means usual as her husband is kind but distant. As she builds relationships with her neighbors and even her in-laws, her relationship with her husband remains confusing, emotionally hurtful and a test of her faith and trust in God and her husband. How does she know what God really wants her to do? Should she stay with Russell or leave him and begin yet again? 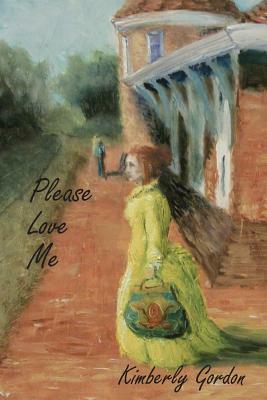 This is author Kimberly Gordon's third published historical novel. While the characters and settings reflect well the history and mores of the time, the reader can easily draw insight into contemporary life lessons. Mrs. Gordon is a master at laying down biblical principles within the context of the story.